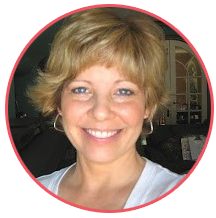 Lori Hairston: Cute and Sweet Again! Here I go again! I just can't help it - you know I love cute and sweet! So don't you think this ghost is cute and sweet? Don't you think the box is cute and sweet? So it must be cute and sweet squared when they're put together, right? 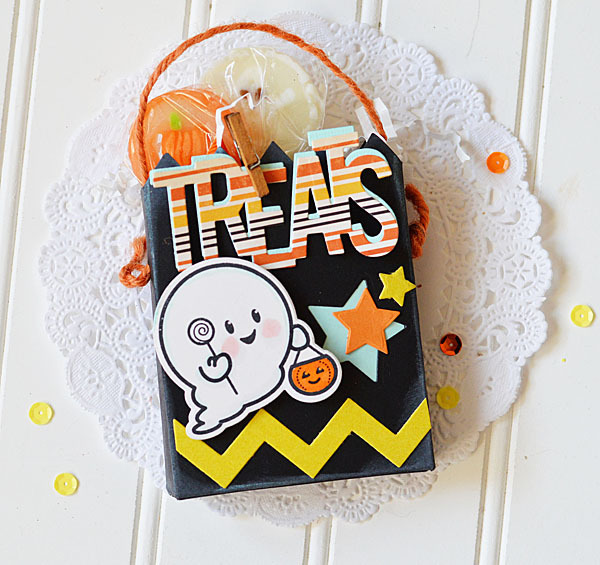 The treat tote is from Reverse Confetti - it comes with the "Treats" die as well. I punched a hole in each side of the box to tie the twine through for a handle. The ghost is a stamp from Boo and Friends which has matching dies from Waltzingmouse Stamps. 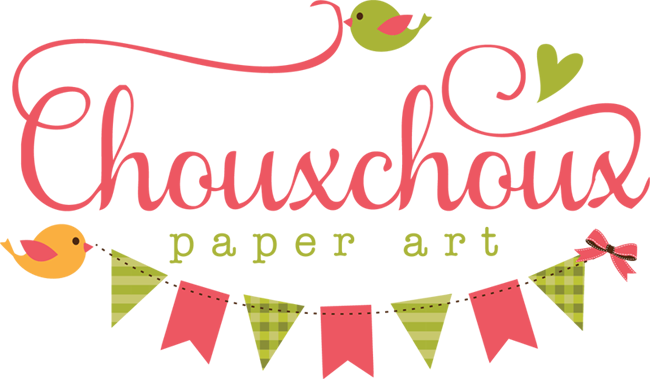 Win A Halloween Treat Choux Box!! Would like to win a Choux Box Kit for this cute Halloween treat? You get everything you need except adhesive. I know it's getting close to Halloween, so hopefully I'll be able to get it to you in time. Or if the winner lives far, far away, maybe it could be made for next year! If you would like to win, let me know in your comment. I'll announce the random winner on Sunday morning, so comment by Saturday midnight. The Vintage Tootsie Roll Treats from the previous post are sold out. Thank you! Aww, Lori this treat box is adorable - who wouldn't want to win one. I love the little ghost stamp - what a cutie. This is adorable! Yes - I'd love to win! Hope you have a great weekend, Lori! I love this cute cool bag, Lori! So very cute!!! You make the sweetest things!! :) Happy Friday!! I agree with Holly. You do make the sweetest things! This is so super super sweet, Lori. I love that little ghost! Have a wonderful weekend. I am really chuckling now - Lori, do you know what scary means!! Aawww, how totally cute and sweet your treat box looks, Lori! 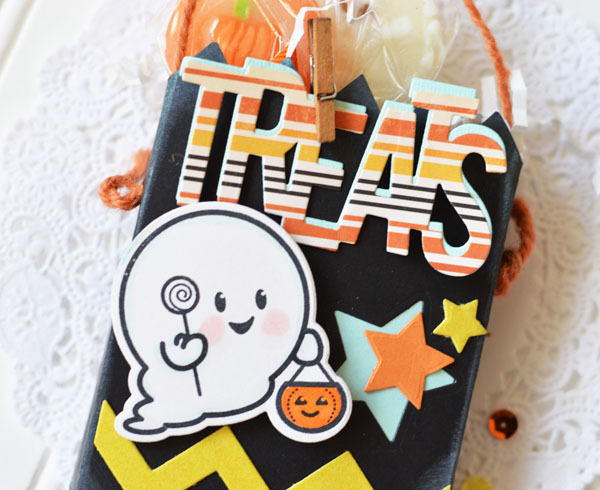 Love the die cuts and the adorable blushes on spooky's sweet face! Art Deco Thanksgiving and a Winner! Trick or Treat? Treat, for sure!